Kevin is a senior legislative performance auditor focused on evaluating tax expenditures, as well as a political risk analyst in Denver, Colorado. He was formerly the managing editor of an online news/analysis publication and a product manager for an online budget simulator at a civic engagement consultancy. Kevin has conducted research, run the operations of a solar energy startup, and worked on grassroots development/social entrepreneurship across West Africa. This entry was contributed by Kevin Amirehsani, on January 2nd, 2019 at 3:55 pm and is filed under Community Partnerships, Dialogue & Deliberation, Innovation, Outreach Methods, Uncategorized. This entry was contributed by Kevin Amirehsani, on September 28th, 2018 at 4:11 pm and is filed under Dialogue & Deliberation, Public Meetings. This entry was contributed by Kevin Amirehsani, on January 25th, 2018 at 9:00 am and is filed under Dialogue & Deliberation, Public Meetings. This entry was contributed by Kevin Amirehsani, on September 7th, 2017 at 8:40 am and is filed under Advisory Committees, Community Partnerships, Dialogue & Deliberation. This entry was contributed by Kevin Amirehsani, on July 5th, 2016 at 11:58 am and is filed under Capacity Building, Community Partnerships, Diversity, Outreach Methods. How “Thick” or “Thin” is Your Civic Engagement Project? This entry was contributed by Kevin Amirehsani, on December 15th, 2015 at 4:03 pm and is filed under Dialogue & Deliberation, Online Participation, Outreach Methods, Uncategorized. This entry was contributed by Philip Azar, Clarence Terry, Clarence & Philip, on December 7th, 2017 at 9:00 am and is filed under Accessibility, Community Partnerships, Diversity, Social Justice. This entry was contributed by Clarence Terry, Philip Azar, Clarence & Philip, on August 11th, 2016 at 5:13 pm and is filed under Community Partnerships, Uncategorized. Omaha, Nebraska native, Dan Bagley, moved to Raleigh North Carolina in 2006 with his wife and NC State Lecturer Kate Lavia-Bagley. He received his undergrad in Recreation Education and Masters in Recreation Administration from the University of Nebraska. Over the past eight years, Dan worked as the Director of Green Road Community Center where he developed numerous programs for the community and surrounding areas. He also worked with many nonprofit agencies at that time such as the Boys and Girls club and Wake County Health and Human Services. In February 2014, he took a new position with the City of Raleigh’s Housing and Neighborhood Division as a Community Services Specialist where he has a passion for connecting and building strong communities. In 2008, Kate and Dan’s family grew when their triplets Emilia, Quinn and Grace were born. Their son, Quinn, who has Hydrocephalus and Cerebral Palsy, inspired Dan and Kate to start their own organization in 2011 called Beyond Special Needs. It allows families with special needs children to share stories and ask questions, share or sell used equipment, and find therapists to help their children in every possible way. Dan very much looks forward to continuing his work in community development! This entry was contributed by Dan Bagley, on April 28th, 2016 at 11:59 am and is filed under Capacity Building, Civic Education, Community Partnerships, Dialogue & Deliberation, Diversity, Outreach Methods. This entry was contributed by Dan Bagley, on November 2nd, 2015 at 4:45 pm and is filed under Community Partnerships, Elected Officials, Innovation, Outreach Methods, Uncategorized. This entry was contributed by John Stephens, Dan Bagley, Michelle Bir, Brian Bowman, Shawn Colvin, Emily Edmonds, Cate Elander, Traci Ethridge, Katy Harriger, Stephen Hopkins, Rick Morse, Kevin Smith, Melody Warnick, Jennifer Phillips, on December 30th, 2015 at 1:51 pm and is filed under Capacity Building, Civic Education, Community Partnerships, Dialogue & Deliberation, Diversity, Innovation, Online Participation, Outreach Methods, Public Meetings, Uncategorized. Correspondent with the Fayetteville Observer, Former Communications Chairperson for the Fayetteville Branch NAACP; MPA from Walden University 2010; Magnanimity Documentary Director; and a professional photographer. This entry was contributed by Michelle Bir, on July 24th, 2018 at 1:51 pm and is filed under Dialogue & Deliberation, Elected Officials, Public Meetings. Fayetteville City Council: Self interest or effective representation? This entry was contributed by Michelle Bir, on April 19th, 2018 at 9:01 am and is filed under Elected Officials, Public Meetings, Uncategorized. Panhandling: A public nuisance or the enemy of economic development? This entry was contributed by Michelle Bir, on May 24th, 2017 at 2:58 pm and is filed under Outreach Methods, Social Justice, Uncategorized. This entry was contributed by Michelle Bir, on February 2nd, 2017 at 9:00 am and is filed under Dialogue & Deliberation, Diversity, Elected Officials, Innovation, Outreach Methods, Public Meetings, Social Justice. This entry was contributed by Michelle Bir, on August 24th, 2016 at 2:30 pm and is filed under Diversity. Fayetteville moves to renovate parks and recreation centers: But is it enough to attract new business? This entry was contributed by Michelle Bir, on March 9th, 2016 at 12:00 pm and is filed under Community Partnerships, Innovation. Public office terms: What is most beneficial to Fayetteville? This entry was contributed by Michelle Bir, on December 11th, 2015 at 3:44 pm and is filed under Civic Education, Elected Officials. Brian Bowman is an instructor at Campbell University in the field of Converged Media and Journalism. His classes emphasize storytelling as a steadfast component of communication. Bowman was a news reporter at WRAL and WNCT for several years prior to managing public relations efforts for two North Carolina municipalities. He is a graduate of UNC-Chapel Hill and Campbell University. This entry was contributed by Brian Bowman, on January 9th, 2019 at 10:52 pm and is filed under Community Partnerships, Dialogue & Deliberation, Public Meetings. This entry was contributed by Brian Bowman, on March 8th, 2018 at 4:15 pm and is filed under Accessibility, Capacity Building, Dialogue & Deliberation, Innovation, Online Participation, Outreach Methods, Uncategorized. This entry was contributed by Brian Bowman, on October 25th, 2017 at 10:15 am and is filed under Capacity Building, Innovation. This entry was contributed by Brian Bowman, on July 12th, 2017 at 10:36 am and is filed under Capacity Building, Community Partnerships, Dialogue & Deliberation, Diversity. This entry was contributed by Brian Bowman, on February 16th, 2017 at 10:21 am and is filed under Civic Education, Community Partnerships, Dialogue & Deliberation, Elected Officials, Public Meetings. This entry was contributed by Brian Bowman, on July 13th, 2016 at 10:24 am and is filed under Civic Education, Dialogue & Deliberation, Elected Officials, Public Meetings. This entry was contributed by Brian Bowman, on December 28th, 2015 at 12:10 pm and is filed under Dialogue & Deliberation, Innovation, Online Participation, Outreach Methods, Uncategorized. This entry was contributed by Brian Bowman, on September 29th, 2015 at 10:06 am and is filed under Advisory Committees, Civic Education, Community Partnerships, Dialogue & Deliberation, Diversity, Outreach Methods, Public Meetings. This entry was contributed by Brian Bowman, on July 30th, 2015 at 9:26 pm and is filed under Advisory Committees, Diversity, Elected Officials, Outreach Methods, Public Meetings. This entry was contributed by Brian Bowman, on April 2nd, 2015 at 10:29 am and is filed under Civic Education, Outreach Methods. Sabrina Colón is a Communications and Community Engagement Specialist with the City of Charlotte. 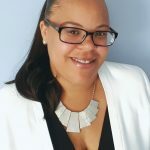 She is responsible for developing and executing innovative citywide initiatives aimed at educating residents on how local government works and connecting them to resources with the ultimate goal of empowering residents to take an active role in the process. Prior to working with local government, Sabrina worked in non-profit communications targeted at refugee resettlement, foster care and supportive housing. Sabrina received her BA in Communications from the University of North Carolina at Charlotte. This entry was contributed by Sabrina Colón, on May 30th, 2018 at 9:00 am and is filed under Civic Education, Community Partnerships, Outreach Methods. Traci Ethridge is the senior manager of community affairs for the Charlotte-Mecklenburg Community Relations department at the City of Charlotte. Having worked for the city since 2006, Traci has held various leadership positions within the organization and been involved in many key projects. In her current role, she supports citywide initiatives that focus on addressing community issues and fostering impactful dialogue across the community. 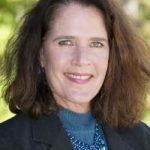 Traci has extensive experience in the communications field and has worked with non-profits and government agencies in both Virginia and North Carolina. This entry was contributed by Traci Ethridge, on January 28th, 2019 at 3:05 pm and is filed under Community Partnerships, Diversity. This entry was contributed by Traci Ethridge, on April 14th, 2017 at 11:52 am and is filed under Civic Education, Dialogue & Deliberation, Diversity, Outreach Methods, Public Meetings, Social Justice. This entry was contributed by Traci Ethridge, on June 8th, 2016 at 9:00 am and is filed under Capacity Building, Community Partnerships, Outreach Methods. This entry was contributed by Traci Ethridge, on November 11th, 2015 at 11:34 am and is filed under Dialogue & Deliberation, Diversity, Outreach Methods. This entry was contributed by Traci Ethridge, on September 15th, 2015 at 10:40 am and is filed under Community Partnerships, Innovation. This entry was contributed by Traci Ethridge, on June 30th, 2015 at 9:00 am and is filed under Community Partnerships, Dialogue & Deliberation, Innovation, Outreach Methods. Katy Harriger, is Professor and Chair of the Politics and International Affairs Department, at Wake Forest University (WFU). Katy teaches in the American politics field and does research on the civic engagement of young people, with a particular interest in deliberative dialogue. Katy has organized deliberations with community groups in Winston-Salem and student participants at WFU. This entry was contributed by Katy Harriger, on February 21st, 2019 at 5:38 pm and is filed under Civic Education, Elected Officials. This entry was contributed by Katy Harriger, on April 5th, 2018 at 11:09 am and is filed under Civic Education, Elected Officials. Internships: A job? A civic experience? Maybe some of both. This entry was contributed by Katy Harriger, on October 5th, 2017 at 2:26 pm and is filed under Civic Education, Uncategorized. This entry was contributed by Katy Harriger, on June 16th, 2017 at 10:13 am and is filed under Civic Education, Community Partnerships, Social Justice. Is this any way to run an election? This entry was contributed by Katy Harriger, on December 8th, 2016 at 9:00 am and is filed under Diversity, Elected Officials. This entry was contributed by Katy Harriger, on June 1st, 2016 at 11:21 am and is filed under Civic Education, Community Partnerships, Diversity, Outreach Methods. This entry was contributed by Katy Harriger, on October 7th, 2015 at 4:19 pm and is filed under Capacity Building, Civic Education, Dialogue & Deliberation. This entry was contributed by Katy Harriger, on June 26th, 2015 at 9:18 am and is filed under Capacity Building, Outreach Methods, Uncategorized. This entry was contributed by Katy Harriger, on December 24th, 2014 at 8:00 am and is filed under Capacity Building, Dialogue & Deliberation. Rachel Kelly currently serves as Director of Public Policy for the City of Burlington where she directs the City’s Public Information Department, acts as the City’s legislative liaison, and works closely with the Animals Services Department. Before joining the City of Burlington in 2011, she served as the Town Clerk of Oak Ridge, NC. Rachel is interested in all things local government, especially citizen communication and engagement. She received her MPA from UNC- Greensboro in 2009. This entry was contributed by Rachel Kelly, on August 24th, 2017 at 1:54 pm and is filed under Capacity Building, Community Partnerships, Elected Officials, Outreach Methods. Catherine Lazorko is Communications Manager for Town of Chapel Hill, NC, with interests in new content creation, strategic planning, and partnerships. She is the former communications director for NC State University College of Design and UNC School of Information and Library Science and also formerly a newspaper reporter including El Paso Times. She is a past president of the NC City & County Communicators (NC3C). She is also a Philadelphia native, marathoner, optimist, and creative doer. This entry was contributed by Catherine Lazorko, on February 15th, 2019 at 7:01 pm and is filed under Diversity, Public Meetings. How Can Local Government Earn Trust in the Era of Fake News? This entry was contributed by Catherine Lazorko, on September 26th, 2017 at 9:00 am and is filed under Civic Education, Community Partnerships, Dialogue & Deliberation, Public Meetings. This entry was contributed by Catherine Lazorko, on June 22nd, 2016 at 2:16 pm and is filed under Capacity Building, Community Partnerships, Innovation, Outreach Methods. Beth McKee-Huger is a deacon in the Episcopal Church, ordained to lead the church in serving people in need. She has a Master's in Social Work and has focused on affordable housing since 1988, as Executive Director of Habitat for Humanity, Mary’s House, and Greensboro Housing Coalition. Now “retired,” she grows vegetables for the Greensboro Farmers Market and continues to advocate for our community to offer opportunities for everyone to have a good place to live. This entry was contributed by Beth McKee-Huger, on March 28th, 2019 at 9:41 am and is filed under Housing. This entry was contributed by Beth McKee-Huger, on January 17th, 2019 at 7:04 pm and is filed under Housing. This entry was contributed by Beth McKee-Huger, on October 19th, 2018 at 12:46 am and is filed under Disaster Relief, Housing. This entry was contributed by Beth McKee-Huger, on June 21st, 2018 at 11:34 am and is filed under Capacity Building. This entry was contributed by Beth McKee-Huger, on March 15th, 2018 at 8:48 am and is filed under Innovation, Outreach Methods, Social Justice, Uncategorized. This entry was contributed by Beth McKee-Huger, on December 21st, 2017 at 1:18 pm and is filed under Capacity Building, Community Partnerships, Innovation, Outreach Methods, Social Justice. This entry was contributed by Beth McKee-Huger, on September 15th, 2017 at 9:00 am and is filed under Social Justice, Uncategorized. This entry was contributed by Beth McKee-Huger, on March 30th, 2017 at 10:11 am and is filed under Capacity Building, Civic Education, Community Partnerships, Diversity, Innovation. Housing or Food – How Does Our Community Solve The Puzzle? This entry was contributed by Beth McKee-Huger, on October 6th, 2016 at 9:00 am and is filed under Community Partnerships, Social Justice, Uncategorized. This entry was contributed by Beth McKee-Huger, on June 29th, 2016 at 10:17 am and is filed under Community Partnerships, Innovation. This entry was contributed by Beth McKee-Huger, on March 18th, 2016 at 3:00 pm and is filed under Capacity Building, Community Partnerships, Dialogue & Deliberation, Diversity, Outreach Methods. I'm an associate professor of public administration and government at the UNC School of Government in Chapel Hill, NC. My research, teaching, and consulting focuses on collaborative governance, community engagement, and public leadership. I am particularly interested in citizens academies and other efforts to build capacity for effective community engagement. In May, 2017 a long-time project of mine, The Citizens Academy Handbook, was published. Follow me on Twitter. @MorseSOG. This entry was contributed by Rick Morse, on April 10th, 2019 at 9:00 am and is filed under Capacity Building, Community Partnerships. This entry was contributed by Rick Morse, on February 6th, 2019 at 7:15 pm and is filed under Capacity Building, Community Partnerships, Elected Officials, Outreach Methods. This entry was contributed by Rick Morse, on December 13th, 2017 at 9:00 am and is filed under Community Partnerships. This entry was contributed by Rick Morse, on December 20th, 2016 at 6:36 pm and is filed under Capacity Building. Gentrification and Collaborative Engagement: What If? This entry was contributed by Rick Morse, Cate Elander, on October 26th, 2015 at 1:04 pm and is filed under Capacity Building, Community Partnerships, Diversity. This entry was contributed by Rick Morse, on June 1st, 2015 at 2:57 pm and is filed under Outreach Methods. This entry was contributed by John Stephens, Rick Morse, on June 23rd, 2017 at 1:17 pm and is filed under Advisory Committees, Outreach Methods, Uncategorized. This entry was contributed by John Stephens, on April 3rd, 2019 at 8:06 pm and is filed under Capacity Building, Outreach Methods, Uncategorized. This entry was contributed by John Stephens, on March 21st, 2019 at 1:46 pm and is filed under Community Partnerships, Innovation, Outreach Methods, social media, Uncategorized. This entry was contributed by John Stephens, on December 20th, 2018 at 8:31 pm and is filed under Capacity Building, Community Partnerships. Do Labels Help or Hurt in “Citizen” Participation? This entry was contributed by John Stephens, on November 8th, 2018 at 6:33 pm and is filed under Community Partnerships, Diversity. This entry was contributed by John Stephens, on September 12th, 2018 at 6:26 pm and is filed under Advisory Committees, Civic Education, Outreach Methods, Public Meetings, Uncategorized. This entry was contributed by John Stephens, on August 22nd, 2018 at 4:51 pm and is filed under Elected Officials, Outreach Methods, Public Meetings. This entry was contributed by John Stephens, on August 1st, 2018 at 1:24 pm and is filed under Advisory Committees, Community Partnerships, Dialogue & Deliberation, Diversity, Innovation, Online Participation, Outreach Methods, Uncategorized. Homeless “Helping” Response: Transaction or Relationship? This entry was contributed by John Stephens, on June 26th, 2018 at 10:14 am and is filed under Capacity Building, Community Partnerships, Outreach Methods, Social Justice. This entry was contributed by John Stephens, on June 12th, 2018 at 9:19 am and is filed under Civic Education, Dialogue & Deliberation, Social Justice. This entry was contributed by John Stephens, on May 21st, 2018 at 9:00 am and is filed under Capacity Building, Community Partnerships, Innovation, Outreach Methods, Social Justice, Uncategorized. This entry was contributed by John Stephens, on December 28th, 2017 at 10:28 am and is filed under Advisory Committees, Capacity Building, Civic Education, Community Partnerships, Innovation, Outreach Methods, Uncategorized. This entry was contributed by John Stephens, on November 2nd, 2017 at 10:45 am and is filed under Community Partnerships, Outreach Methods, Uncategorized. After #Charlottesville – What kinds of Engagement on Statues and Symbols in Passionate Debate? This entry was contributed by John Stephens, on August 18th, 2017 at 10:55 am and is filed under Dialogue & Deliberation, Diversity, Uncategorized. This entry was contributed by John Stephens, on July 20th, 2017 at 5:21 pm and is filed under Capacity Building, Outreach Methods, Uncategorized. This entry was contributed by John Stephens, on April 6th, 2017 at 9:00 am and is filed under Community Partnerships, Outreach Methods. This entry was contributed by John Stephens, on December 29th, 2016 at 9:00 am and is filed under Civic Education, Community Partnerships, Dialogue & Deliberation, Diversity, Outreach Methods, Public Meetings. Inject the Passion of Sports Fans into Community Engagement? Yes or no? This entry was contributed by John Stephens, on November 17th, 2016 at 1:51 pm and is filed under Capacity Building, Innovation. This entry was contributed by John Stephens, on August 30th, 2016 at 11:55 am and is filed under Dialogue & Deliberation, Diversity, Outreach Methods, Public Meetings. Steps for Working on Police-Community Relations – Where do we Start? This entry was contributed by Cate Elander, John Stephens, on August 3rd, 2016 at 11:51 am and is filed under Dialogue & Deliberation, Diversity, Outreach Methods. This entry was contributed by John Stephens, on July 27th, 2016 at 10:23 am and is filed under Civic Education, Dialogue & Deliberation, Outreach Methods. This entry was contributed by John Stephens, on May 25th, 2016 at 10:29 am and is filed under Capacity Building, Civic Education, Community Partnerships, Dialogue & Deliberation, Outreach Methods. This entry was contributed by John Stephens, on May 19th, 2016 at 1:48 pm and is filed under Dialogue & Deliberation, Outreach Methods, Public Meetings. This entry was contributed by John Stephens, on January 5th, 2016 at 9:00 am and is filed under Civic Education, Online Participation, Outreach Methods. This entry was contributed by John Stephens, on December 21st, 2015 at 3:49 pm and is filed under Civic Education, Dialogue & Deliberation, Innovation, Outreach Methods, Public Meetings, Uncategorized. This entry was contributed by Emily Edmonds, John Stephens, on August 28th, 2015 at 1:09 pm and is filed under Online Participation, Public Meetings. This entry was contributed by John Stephens, on July 24th, 2015 at 6:27 am and is filed under Dialogue & Deliberation, Elected Officials, Public Meetings, Uncategorized. This entry was contributed by John Stephens, on April 10th, 2015 at 12:33 pm and is filed under Civic Education, Diversity, Uncategorized. Is there a sharp line between political protest and civic engagement? This entry was contributed by John Stephens, on January 6th, 2015 at 9:15 pm and is filed under Dialogue & Deliberation, Diversity, Outreach Methods. Hello, my name is Clarence Terry and here is a small bio about where I’m from and just a few of the organizations that I am involved with in Durham, NC. I came to Durham, NC from Washington, D.C., where in most part I resided all of my life. Born and raised there by two loving parents (Annette Holmes and Henry Hamilton). I grew up as a child in a very low income area of D.C. known as Southeast, where just making it was the best you could do and to hope for. Well enough about my childhood, now let’s move on to what I do now here in Durham, specifically Old East Durham. I am a community leader with the non-profit organization known as Old East Durham Communities in Partnership (usually called, “CIP”). We formed five years ago and have been doing great work in our community since then. I am also a member of several other organizations such as F.A.D.E (Fostering Alternative Drug Enforcement), OARNC (Organizing Against Racism, North Carolina). I have received two awards since doing this work and they are, Community Organizer of the Year for Durham, N.C. by UE (Underground Equity), in 2012, and was also given the Neighborhood Heroes Award for 2015, by the InterNeighborhood Council, which is their highest award presented. Emily Edmonds currently serves as the Extension & Outreach Program Manager for the Center for Environmental Farming Systems, a partnership of North Carolina State University, North Carolina A&T State University, and the North Carolina Department of Agriculture. She holds an MPA from UNC-Chapel Hill and has worked in local and regional food systems and economic development through a variety of projects across the East Coast. More about her work with food system economic development is available at www.ncgrowingtogether.org. This entry was contributed by Emily Edmonds, on July 5th, 2017 at 3:04 pm and is filed under Uncategorized. This entry was contributed by Emily Edmonds, on February 9th, 2017 at 1:31 pm and is filed under Civic Education, Community Partnerships, Dialogue & Deliberation, Innovation, Outreach Methods, Public Meetings. This entry was contributed by Emily Edmonds, on May 27th, 2016 at 10:05 am and is filed under Capacity Building, Community Partnerships, Outreach Methods. This entry was contributed by Emily Edmonds, on February 11th, 2016 at 11:46 am and is filed under Capacity Building, Online Participation, Outreach Methods. This entry was contributed by Emily Edmonds, on November 5th, 2015 at 10:57 am and is filed under Civic Education, Elected Officials, Outreach Methods. This entry was contributed by Emily Edmonds, on May 7th, 2015 at 12:45 pm and is filed under Innovation, Online Participation, Outreach Methods, Uncategorized. This entry was contributed by Emily Edmonds, on December 3rd, 2014 at 8:00 am and is filed under Public Meetings. Cate Elander is a Program Manager at MDC, supporting the Kate B. Reynolds Charitable Trust Great Expectations initiative. She is identifying best practice and emerging research in the early childhood field to inform the initiative’s strategy, and helping shape a family engagement strategy that brings family voice to the center of systems change work in Winston Salem and Forsyth County. Cate most recently managed outreach and community-based programming at the East Durham Children’s Initiative, and has 10 years of experience supporting community engagement with place-based community development initiatives in Durham, Delaware, and New York City. This entry was contributed by Cate Elander, on November 16th, 2017 at 7:47 am and is filed under Community Partnerships, Diversity, Innovation, Uncategorized. Representative Local Government: How Do We Get There? This entry was contributed by Cate Elander, on August 3rd, 2017 at 10:14 am and is filed under Diversity, Elected Officials, Social Justice. This entry was contributed by Cate Elander, on April 20th, 2017 at 11:41 am and is filed under Dialogue & Deliberation, Diversity, Elected Officials. This entry was contributed by Cate Elander, on January 6th, 2017 at 11:22 am and is filed under Capacity Building, Community Partnerships. This entry was contributed by Cate Elander, on August 6th, 2015 at 5:20 pm and is filed under Capacity Building, Community Partnerships, Diversity, Outreach Methods, Public Meetings. This entry was contributed by Cate Elander, on April 21st, 2015 at 10:40 am and is filed under Advisory Committees, Capacity Building, Outreach Methods. I am Stephen Hopkins; I’m a 58 years old single father living in Durham North Carolina. I was born here and love the County and city of Durham. I have served on several city boards and have been a community leader for many years. I was a member of the Durham Housing Authority Board, Durham Housing Appeals Board and the Durham Homeless Serves Advisory Committee. I’ve held community leadership positions as PAC 1 Co-Facilitator, Durham’s NAACP Housing Chair, Few Gardens Resident Council President, The Old Five Point Neighborhood President, Co-Facilitator for the Campaign for Safe, Decent and Affordable Housing and the Northeast Central Durham Leadership Council. I have worked as a community organizer for the past 22years. I’ve worked as a organizer for the Durham Housing Authority and then for Durham Affordable Housing Coalition. I worked as a property manager for Moe Geo LLC and RDC Construction. I believe I have some ideals about community engagement and what it means to low income communities that might help with some of the issues facing communities all across North Carolina today. When Progress is at Odds! This entry was contributed by Stephen Hopkins, on September 26th, 2016 at 9:00 am and is filed under Dialogue & Deliberation, Diversity, Social Justice. This entry was contributed by Stephen Hopkins, on September 23rd, 2015 at 8:42 am and is filed under Community Partnerships, Innovation. This entry was contributed by Stephen Hopkins, on June 22nd, 2015 at 10:50 am and is filed under Outreach Methods. This entry was contributed by Stephen Hopkins, on December 19th, 2014 at 3:28 pm and is filed under Capacity Building, Elected Officials, Outreach Methods. This entry was contributed by Melody Warnick, on May 11th, 2017 at 5:58 pm and is filed under Dialogue & Deliberation, Innovation. This entry was contributed by Melody Warnick, on February 28th, 2017 at 10:29 am and is filed under Dialogue & Deliberation, Innovation, Outreach Methods. This entry was contributed by Melody Warnick, on September 7th, 2016 at 9:00 am and is filed under Uncategorized. This entry was contributed by Melody Warnick, on May 11th, 2016 at 12:13 pm and is filed under Outreach Methods, Public Meetings. This entry was contributed by Melody Warnick, on January 6th, 2016 at 9:00 am and is filed under Capacity Building, Community Partnerships, Uncategorized. This entry was contributed by Melody Warnick, on October 19th, 2015 at 9:24 am and is filed under Civic Education, Elected Officials.